Pup owners and non-pup owners alike may be surprised to learn what a dog can be allergic to! 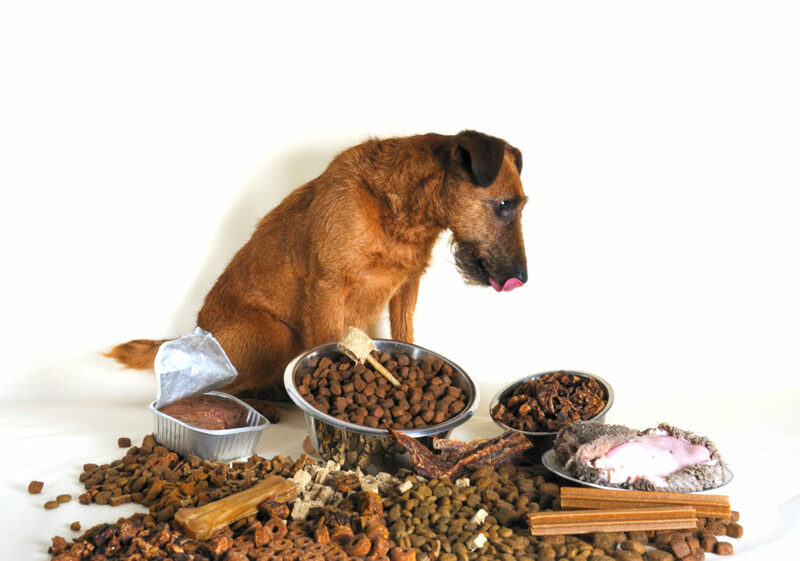 Check out this list of potentially surprising dog food allergies. Just like people, dogs can be allergic to food. We’ve all heard that dogs can’t eat chocolate and they shouldn’t be fed food scraps, but there are ingredients commonly found in many dog foods and treats that your dog could be allergic to. If you’re noticing these symptoms in your pet, it could be because of dog food allergies. These allergies can be to some surprising ingredients. After all the cartoons we’ve seen of a dog chowing down on a massive steak, it’s surprising to learn that beef is one of the most common allergens for dogs. Many dog foods contain beef as the main ingredient, which can be dangerous for dogs who are allergic. Specific types of protein can be common allergens. Seeing as beef is a protein source, it can easily become an allergen for your pet. There are many types of dog foods that don’t use beef as an ingredient, so you should be able to easily switch to a food that doesn’t contain this allergen if your dog is allergic. Soy is another protein source that is derived from soybeans. As with beef protein, the dog’s body can mistake the soy protein for a dangerous intruder and launch an immune response against it. Scour the ingredient list for any soy or soy derivatives if your dog is allergic. Surprisingly, wheat allergies can affect dogs just like humans. While protein allergies are more common in dogs, they can have sensitivity and allergic reactions to wheat and grains. You can purchase grain-free and wheat-free dog foods and treats. Betsy Farms brand dog treats and food are all guaranteed to contain no wheat or artificial flavors. Visit the website to learn more. Dogs can be sensitive to dairy, which is called lactose intolerance. Just like people, dogs can have a lot of trouble digesting dairy products. Dairy can be found in a number of foods, both dog and people foods. Dairy is in cheese, milk products, dog treats, dog food, and more. This isn’t technically an allergy, seeing as it is more of an intolerance than a full-blown allergy. However, a dairy intolerance can result in all of the same symptoms of an allergy in dogs, so it’s good to keep on your radar. Who hasn’t slipped their furry friend a little piece of supermarket rotisserie chicken as a little treat? That’s why it’s so surprising to know that chicken is another top allergen for dogs. We mentioned this before, but dogs are most prone to protein allergies, which means almost all meat is a potential allergen. And since chicken is so commonly used, it is quite common for dogs to develop an allergy to it. Rabbit is yet another protein source that many dogs develop an intolerance to. This ingredient follows the “protein allergy” train that we’ve been on for most of this article. Rabbit might not be as common as chicken or beef in terms of dog food allergies, but it is a somewhat common ingredient in both dog food and dog treats. We are continuing on the protein allergy train with pork. Bacon, ham, pork chops, and anything else porcine is a potential allergen for dogs. This might be surprising seeing as many dog treats are marketed as “bacon strips” or pork flavored. But as we’ve gone over, protein is a common allergen for dogs, and pork is no exception in dog food allergies. Let’s take a step away from the protein allergies to look at corn. Dogs can be allergic to some compound within corn that causes an immune reaction that leads to the allergy symptoms we listed earlier. Corn can also be hard to digest for some dogs, which would result in allergy symptoms as well. Corn isn’t usually the main ingredient in dog food; it is most often used as a filler ingredient or as some sort of corn-product. Be sure to look at the ingredients in the dog food carefully. While eggs aren’t the most classic protein source that you think of (big slabs of meat, giant turkey legs from the fair, etc), dogs can be allergic to the proteins found in egg whites and yolk. Eggs aren’t a popular ingredient in dog food or treats, which is good news for you and your pet if they’re allergic. Just make sure you check ingredient lists carefully. Most people think of fish and food with fish in it as more of a “cat thing.” However, there are dog foods and treats that contain fish ingredients. As you could maybe guess, this allergy stems from the protein in the fish that your dog can be allergic to. Just like any meat from a land animal, the meat from fish contains proteins that dogs can be allergic to. It might seem like dogs can eat anything. Who hasn’t seen a dog eat random garbage on the street and live to tell the tale? But dogs can and are allergic to food just like people are. Unlike people, dogs can’t vocalize what exactly is making them feel sick and they can’t pick and choose what they eat. That’s why people have to be cognizant of their dog’s symptoms and exactly what they’re feeding their pet. Were you surprised by any of the allergens we talked about in this article? Leave us a comment and let us know! You can also check out our other articles on our blog.